← The Secretive Bilderberg 2013 Meeting in Watford, England. Celebrating the publishing of my new travelogue Planes Trains & Sinking Boats I am continuing my countdown of top 100 list of places I want (and wanted) to see when I was a student. In the intervening 15 years or so, some of them I have seen more than once and others remain and remind I should get my skates on if I want to get round to seeing the overwhelming majority of them. If you missed the countdown so far you can click on the links to read 100-91, 90-81 and 80-71 here. 70 Cappadoccia in central Anatolia. A unique place full of underground cave houses and fairy chimneys. Not too far from here is a place by the coast of the Mediterranean Sea where natural and eternal flames come up through the rocks. The whole of Turkey is somewhere I would love to visit but alas there are only 100 places available on my list! In Central Anatolia (Turkey) lie these fairytale houses and ancient underground complexes. 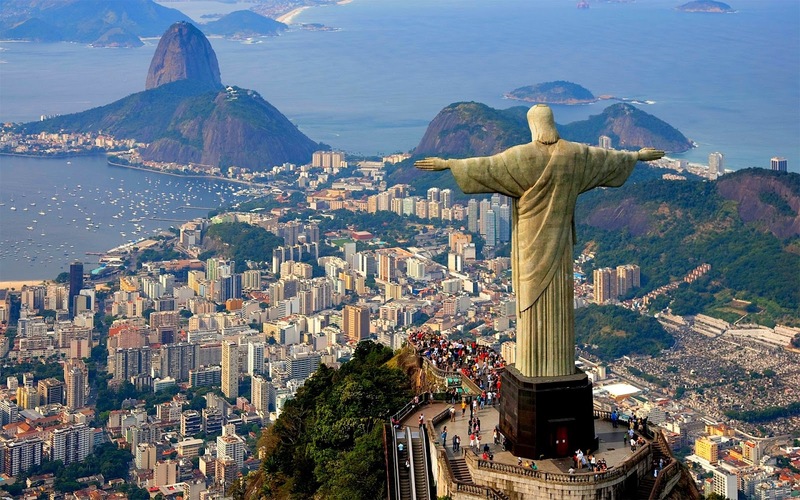 69 Rio De Janeiro – Possibly the coolest city in the world and definately the most famous in South America. So much to see and so little time I fear will be the issue with this amazing city. Head and shoulders above everything else is the amazing statue of Christ of the Redeemer on top of Sugar Loaf Mountain and a unmissable cable-car ride. If you don’t like heights then enjoy the countless beachside bars, restaurants and food. Statue of Christ The Redeemer overlooking the carnival city of Rio. 68 Yosemite National Park Apparently Yosemite is sitting on top of a giant super-volcano and that sometime in the next few hundred thousand years it will be totally destroyed. Knowing my luck it will be when I am there so I should either get there quickly or ask for money and I will consider not seeing this amazing national park and so save it from disaster in my life-time at least. A great natural wonder, just keep hold of your picnic baskets when Yogi bear is around. 67 Japan. So many places to see. 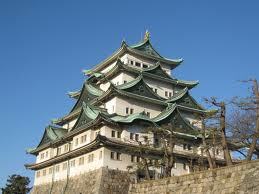 Tokyo, Shinto temples, The Bullet train, Mount Fuji and some Japanese styles castles such as the one at Nagoya. 66 The Taj Mahal. 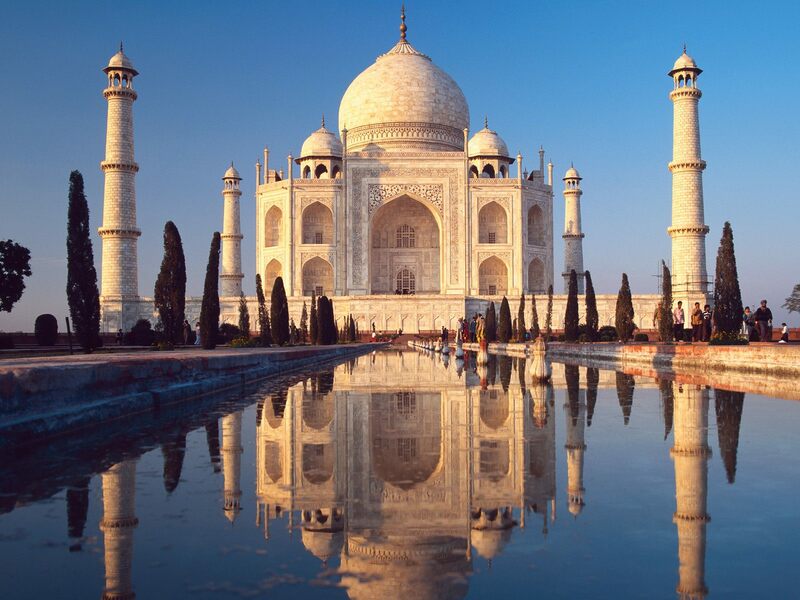 Said to be the most famous and beautiful monument to love ever built. This beautiful building is always crowded with tourists so capturing that must-have photo is going to be difficult. 65 Sydney If you go to Australia then you pretty much have to go to Sydney. One of the most beautiful city bays in the world, topped by the Sydney Opera House and Sydney Harbour Bridge, a copy of the real bridge in my home city of Newcastle Upon Tyne. Maybe the most beautiful harbour in the world. 64 The Lake District. 300 miles northwest of London lie the home of many of the best walks and views in Britain and also to most of the rain! More Lakes and Mountains than you can shake a stick at. 63 Alhambra, the ancient palace and fortress in Andalusia in Spain. 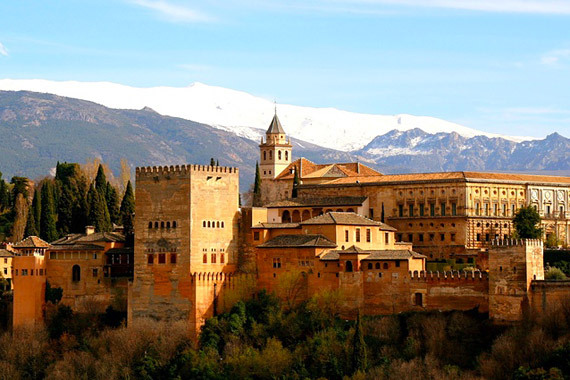 A beautiful palace fortress in Granada Spain with Islamic origins. 62 Salzburg. 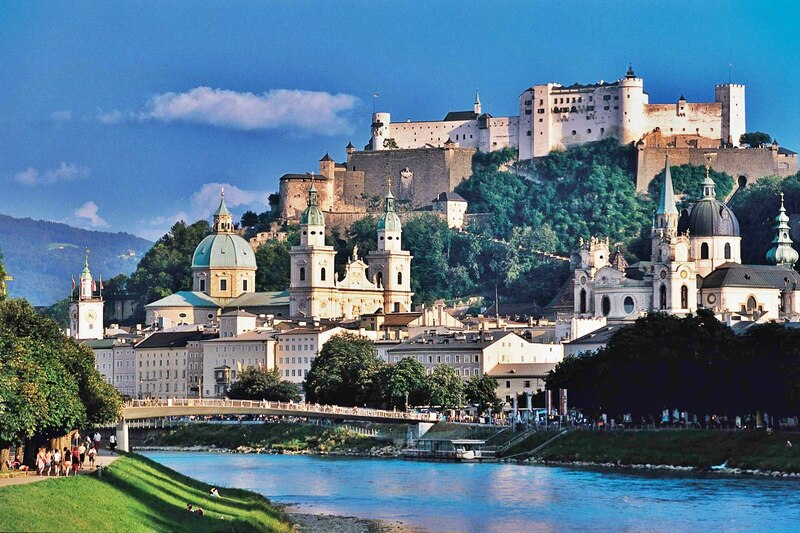 Birthplace of Mozart and home to the Sound of Music. The fine buildings and museums mean there isn’t much not to like about this place. 61 Potsdam. 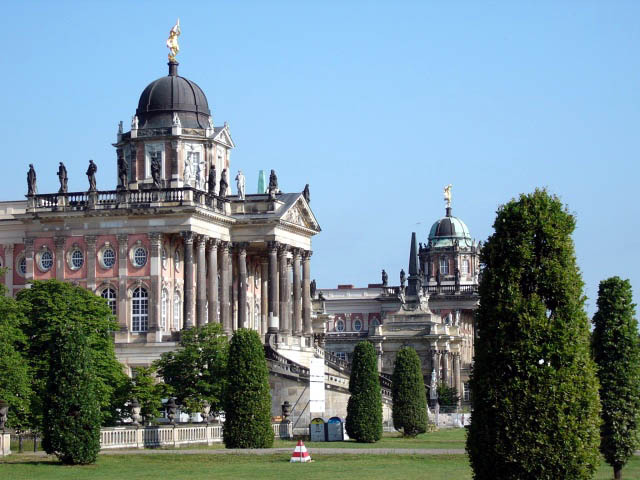 Potsdam is to Berlin what Versailles is to Paris or Windsor is to London. A small place full of history and the most amazing palaces imaginable. Just at the end of the Berlin metro and then a short bus ride takes you to the homes of the old rulers of Prussia. A number of palaces all in different styles and with the most wonderful gardens. Remember, I am running a competition to win a copy of my new travelogue Planes, Trains & Sinking Boats. The book is available on Kindle from all the Amazon UK USA sites and will very shortly be available on the Apple iTunes iBookshelf for use with iPhones, iPod Touch and iPads. A paperback edition is for sale at Lulu and on Amazon USA and Amazon UK and worldwide. The reader who can guess what is number 1 on my list will receive a free signed paperback copy of Planes, Trains and Sinking Boats. If no-one can guess number 1 then the person whose guess is highest on my list will receive a free e-book. Send me an email with your guess or leave a guess in the comments below. For the next 100 days anyone who follows my blog and purchases either Let Me Help or Planes, Trains and Sinking Boats on Amazon Kindle or in E-book format from Lulu or iTunes iBooks then I will send you a free E-book of the other title, just email me a screen dump proof of purchase. Also, anyone who purchases a paperback copy of Let Me Help in the next 100 days and sends me proof of purchase I will send a free e-book format book to you. I would ask that if you buy Let Me Help, you buy it from either Lulu or the more expensive copy on Amazon as the cheaper copy provides me with no royalties as the Publisher has now closed. Next Up 60 – 51. This entry was posted in Travel, writing and tagged 100 places to see before I die, Book give away, Competition, Culture, Life, New book launch, Tours, Travel, Travelogue. Bookmark the permalink. 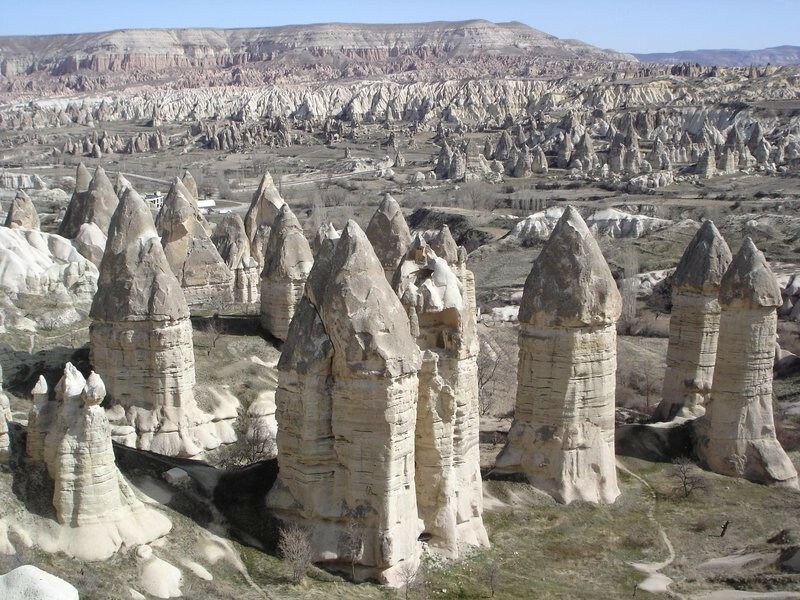 that first pic shows the rock formations in cappadocia, near goreme perhaps. There is such a wide range of amazing landscapes there, I found it impossible to find a single photo that covered everything but these formations seemed quite magical. It might be a bit early to be guessing… but… for what it’s worth, here goes. The #1 on your 100 Places I Want to See Before I Die list is…. Antarctica?! Ooh! Keeping me on the edge of my seat here! Those are very good guesses! I’d have expected better from you 🙂 I don’t blame you. You just know if it did happen whilst I was there I would think how typical it is and probably what a great book it would have made too! It is worth pointing out that the Sydney Harbour Bridge and the Tyne Bridge were both built in my simply awesome hometown, Middlesbrough. Just thought I’d mention that because the truth tends to wind up Geordies. I’ve been to Sydney and been across the bridge. There’s a plaque in the middle that mentions where she was built. I got my photo taken there. You should too. Great idea. In all seriousness, you’d love it in Sydney. Really nice place. I didn’t know that. What a kick in the teeth 🙂 They are both very fine bridges. I love the view when you come up on the train from London and see it. It’s a real mans bridge not like those namby pamby ones over the Thames! 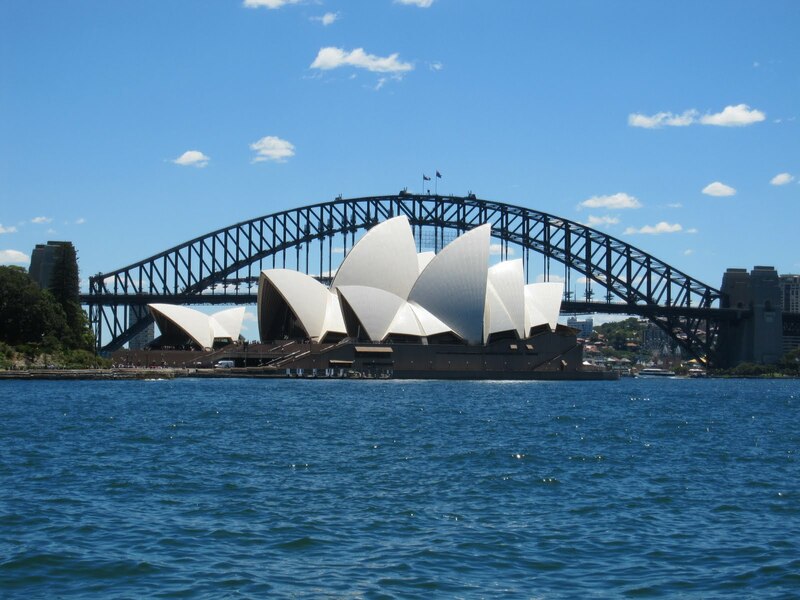 Sydney looks amazing and if I ever get there, I’d probably take a photo of the plaque too. If you don’t fancy the bridge climb (either because of height or cost!) you can go quite high, much cheaper by going up the pillar closest to the Opera House – fine view from there and safely behind a wall. I’ve been to Yosemite 20+ times and never heard about a super-volcano. Do you mean the one under Yellowstone National Park? 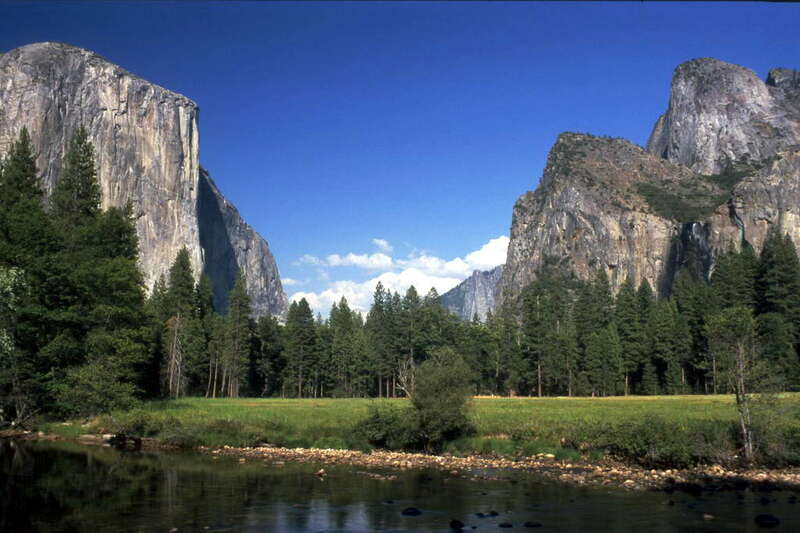 Don’t miss Yosemite, both the valley and high country!